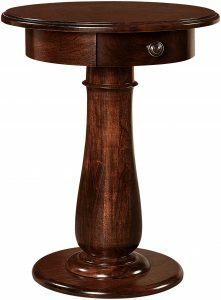 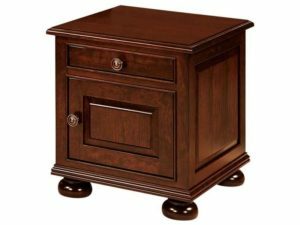 Presenting the biggest lineup of solid hardwood nightstands likely to come your way in a long time – or ever! 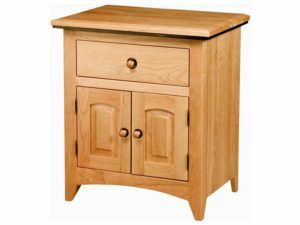 And every unit shown below is designed for practicality and great looks. 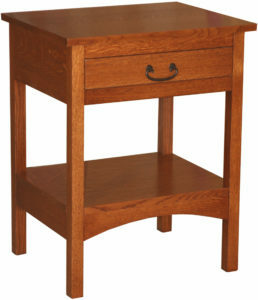 Traditional, modern, avant-garde and more. 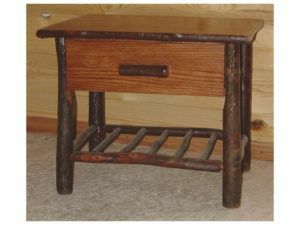 Plus they’re Amish-built for strength and long life. 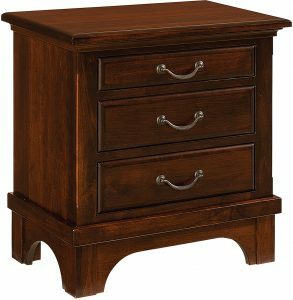 Sleek and stylish, the Batavia 3 Drawer Nightstand is a great accent to the bedroom. 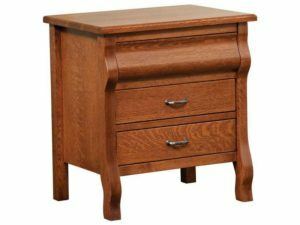 The Batavia Nightstand features a curved profile. 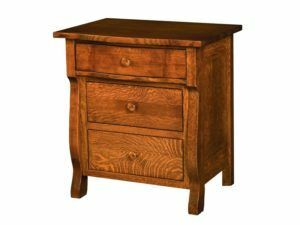 Fine craftsmanship marks the Batavia One Drawer, One Door Nightstand. 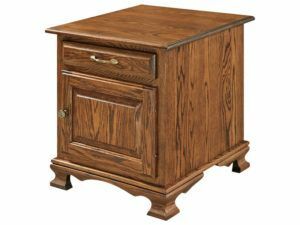 The classic Batavia Three Drawer Nightstand boasts style and plenty of storage space. 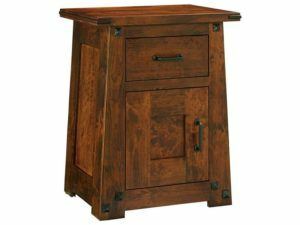 The Batavia Two Door Nightstand features two paneled doors. 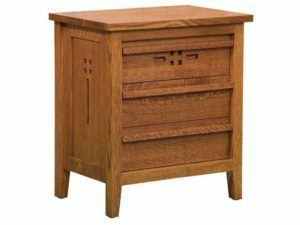 Notched corners highlight the Brooklyn Mission Bedside Chest. 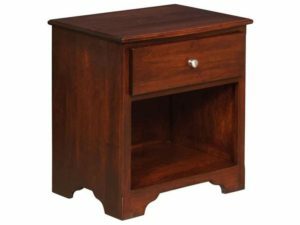 Featuring a unique cubby hole, the Brooklyn Mission Large Bedside Chest is a charming bedside furnishing. 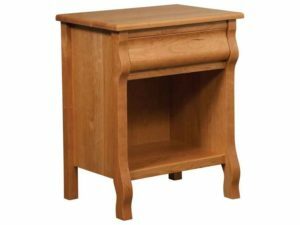 Classic Mission style makes the Brooklyn Mission Nightstand a charming home furnishing. 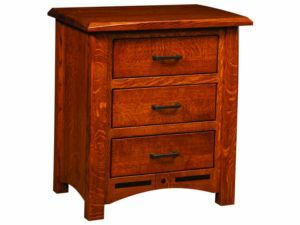 Inspired craftsmanship marks the Brooklyn Mission One Door Nightstand. 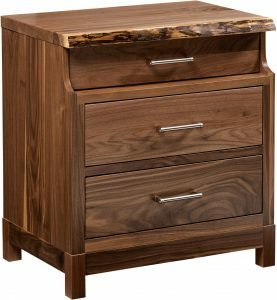 Beautiful wood and fine craftsmanship meet in the Brooklyn Mission Three Drawer Bedside Chest. 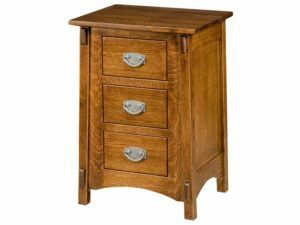 Strength and elegance meet in the Classic Mission Nightstand. 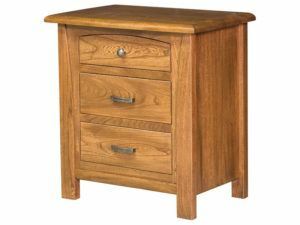 The Classic Mission One Drawer, Two Door Nightstand unites simplicity and practicality. 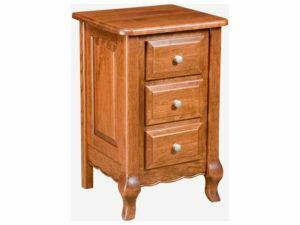 Fine inset hardware marks the Classic Shaker Nightstand. 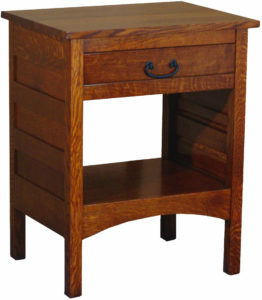 Inspired craftsmanship and classic design meet in the Classic Shaker Nightstand. 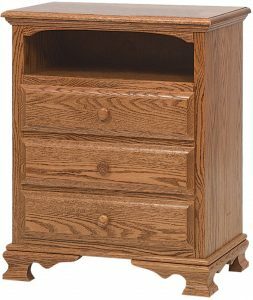 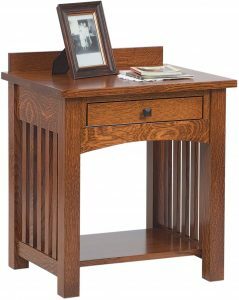 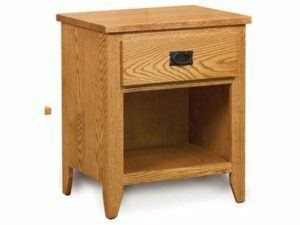 The Classic Shaker Nightstand blends style and strength. 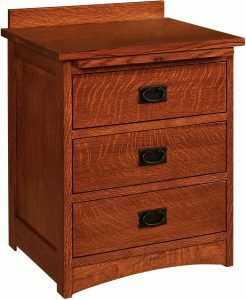 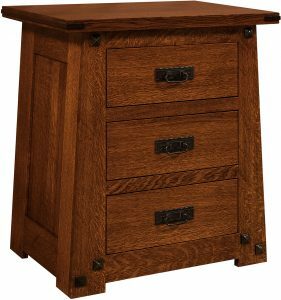 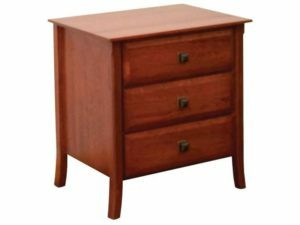 The Classic Shaker One Drawer, Two Door Nightstand features solid hardwood construction and timeless Shaker design. 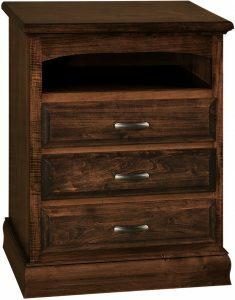 Stunning craftsmanship accents the Escalade 1 Drawer, 1 Door Nightstand. 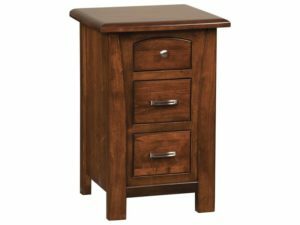 The Escalade 3 Drawer Nightstand features a slim profile and elegant design. 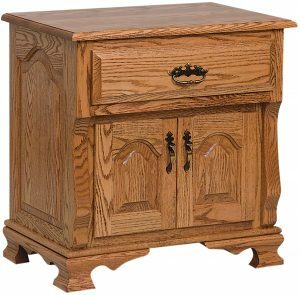 Gracefully carved doors accent the Escalade Nightstand. 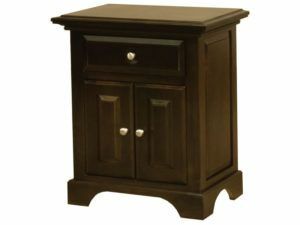 The Escalade Three Drawer Nightstand boasts sleek elegance. 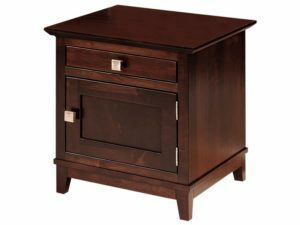 Charming double doors and a one inch thick top are just some of the features of the Escalade Two Door Nightstand. 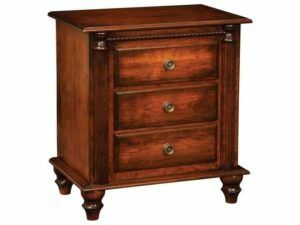 The French Country Bedside Chest features charming design and solid construction. 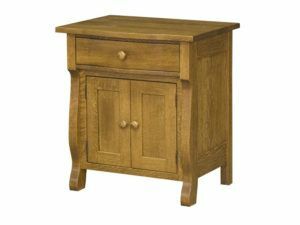 The French Country Left Nightstand features a dynamic paneled design making a perfect pair with the French Country Right Nightstand. 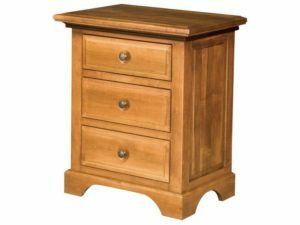 A slim design and beautiful raised paneling make the French Country Narrow Bedside Chest a graceful bedroom furnishing. 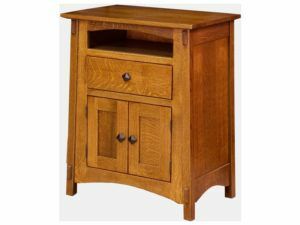 The charming French Country Nightstand features two doors and makes a perfect bedside furnishing. 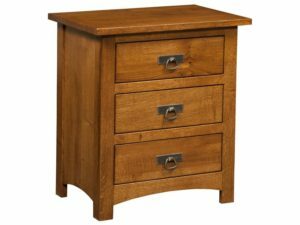 Featuring one storage drawer and a unique storage space, the French Country One Drawer Nightstand is a practical and beautiful bedside furnishing. 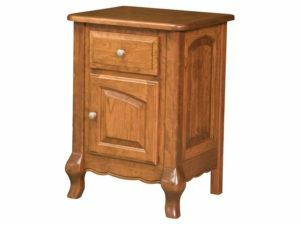 Featuring elegant curved feet, the French Country Right Nightstand pairs perfectly with the French Country Left Nightstand. 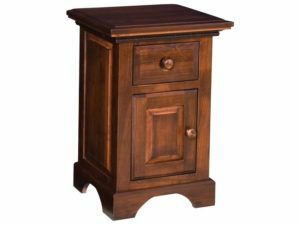 The graceful Hampton Left or Right Nightstand perfectly accent any home. 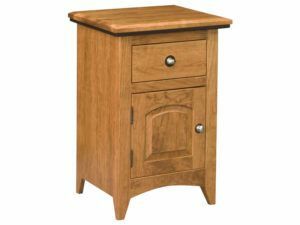 Grace and strength unite in the Hampton Nightstand. 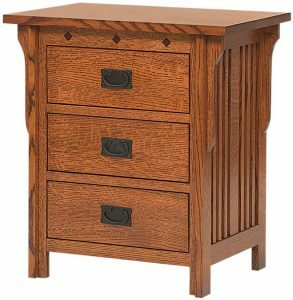 A unique styles highlights the Hampton Three Drawer Nightstand. 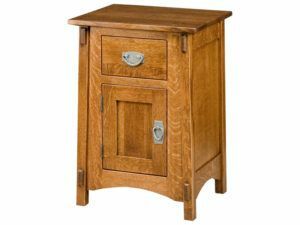 Tapered feet accent the Hampton Two Door Nightstand. 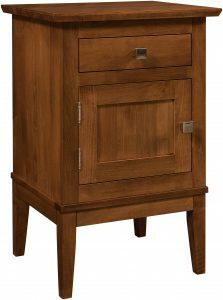 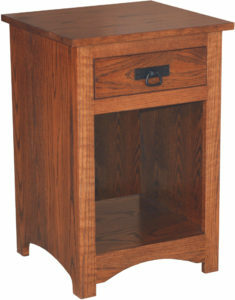 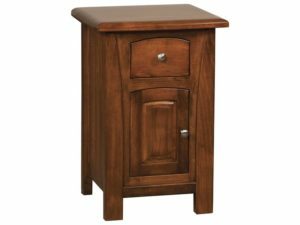 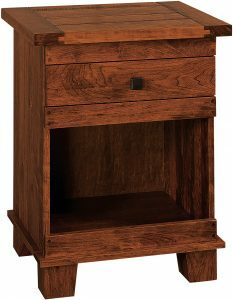 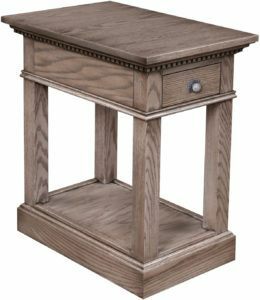 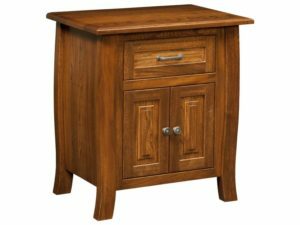 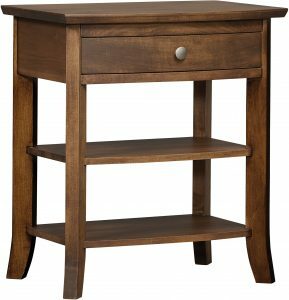 The Hickory Hilltop Nightstand features fine hickory wood and plenty of storage space. 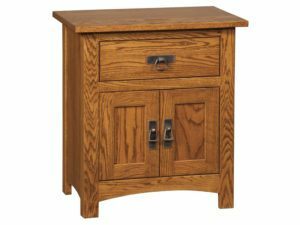 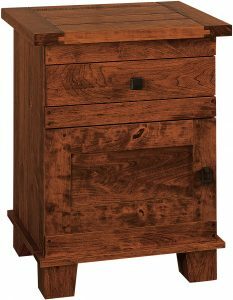 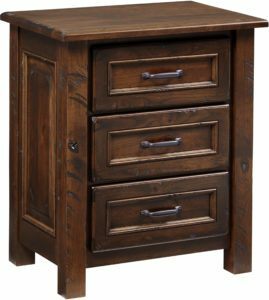 Rustic hickory wood and fine construction meet in the Hickory Hilltop One Drawer Nightstand. 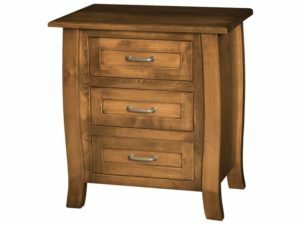 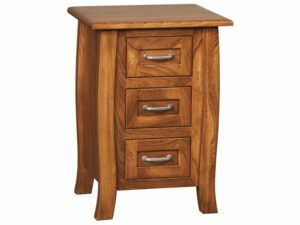 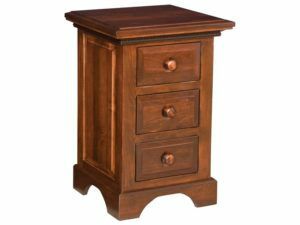 The Lavega Three Drawer Nightstand blends elegance and tradition. 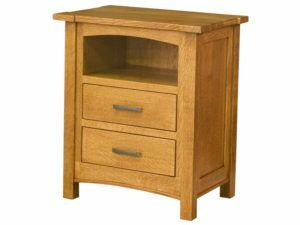 Two arched panel doors accent the Lavega Two Door Nightstand. 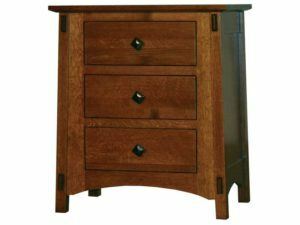 A tapered profile highlights the McCoy Bedside Chest. 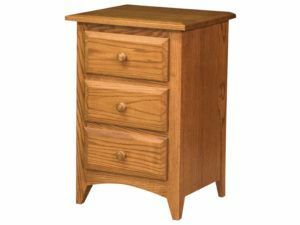 Sensible Mission styling and solid craftsmanship meet in the McCoy One Drawer, One Door Nightstand. 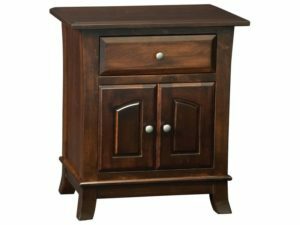 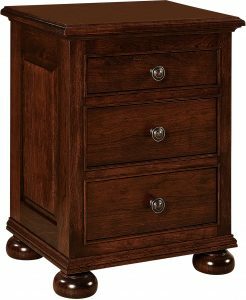 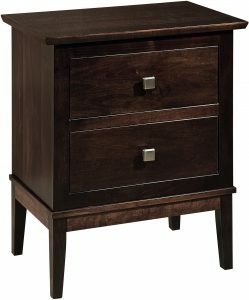 Ample storage space and stately design mark the McCoy One Drawer, Two Door Nightstand. 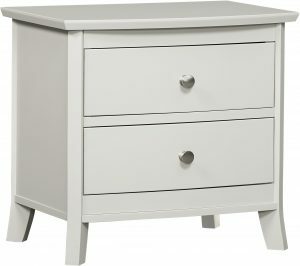 Sleek mission design makes the McCoy Three Drawer Bedside Chest a perfect bedroom furnishing. 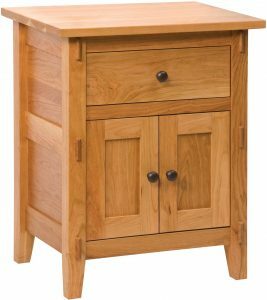 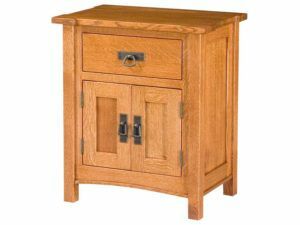 Beautiful mission design make the McCoy Two Door Nightstand a charming bedside furnishing. 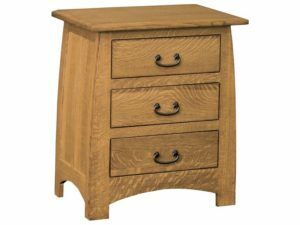 The Mondovi Grey Elm Three Drawer Nightstand features fine craftsmanship and a unique curved top drawer. 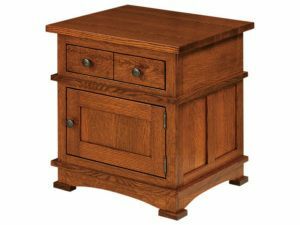 The Mondovi Nightstand harmoniously blends durable craftsmanship with elegant design. 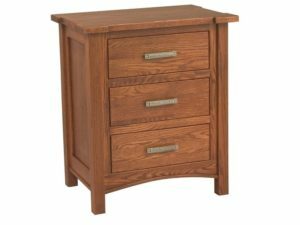 The graceful Mondovi One Drawer, One Door Nightstand boasts a trim profile. 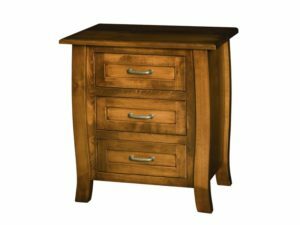 The Mondovi Three Drawer Nightstand boasts plenty of dynamic storage space. 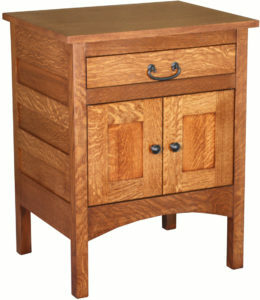 The Shaker Bedside Chest features beautiful Shaker styling and finely crafted wood. 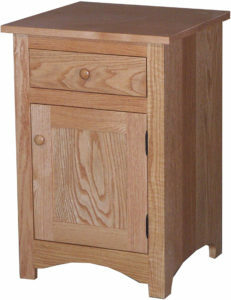 Sensible styling and beautifully designed storage space mark the Shaker One Door Nightstand. 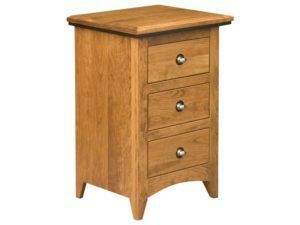 The beautiful Shaker One Drawer, Two Door Nightstand is a perfect bedside furnishing. 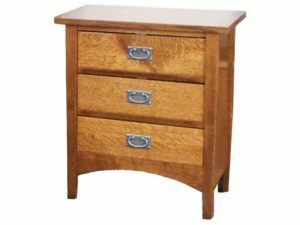 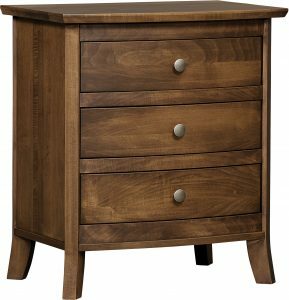 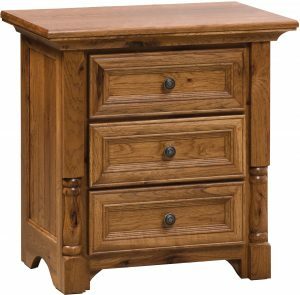 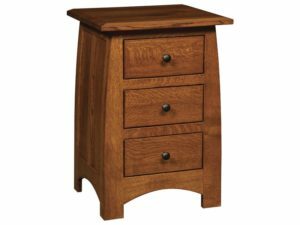 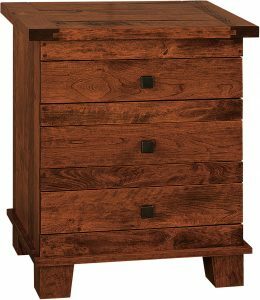 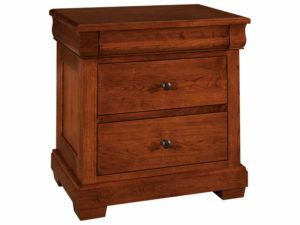 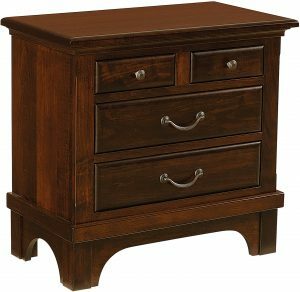 Beautiful hardwood construction highlights the Shaker Three Drawer Bedside Chest. 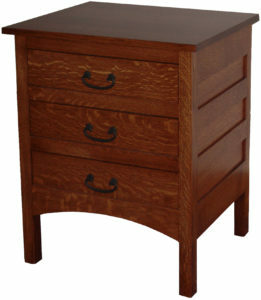 Charming design and fine handcraftsmanship mark the Shaker Three Drawer Bedside Chest. 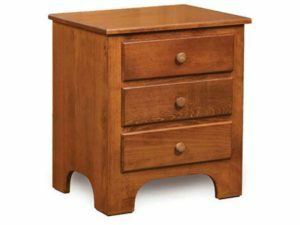 The Shaker Bedside Chest brings beauty in a small package, making a classic bedside furnishing. 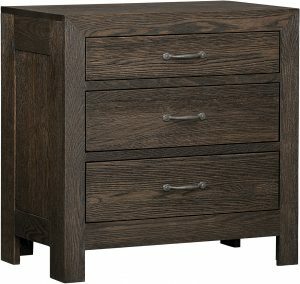 A truly remarkable design accents the unique Superior Shaker One Drawer Nightstand. 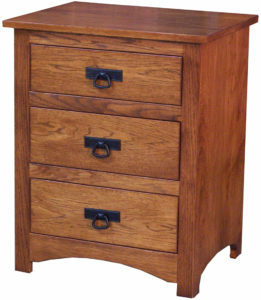 The classic Superior Shaker One Drawer, One Door Nightstand offers plenty of storage space. 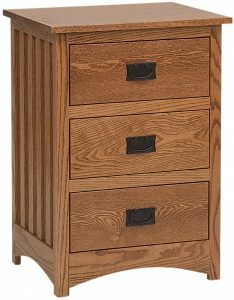 Fine wood paneling accents the Superior Shaker One Drawer, Two Door Nightstand. 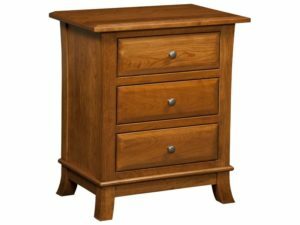 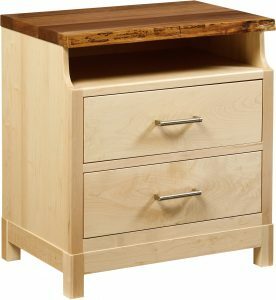 A light finish marks the beautiful Superior Shaker Three Drawer Nightstand. 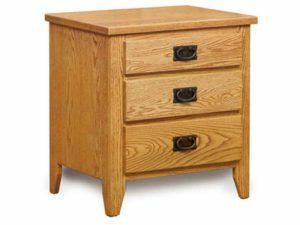 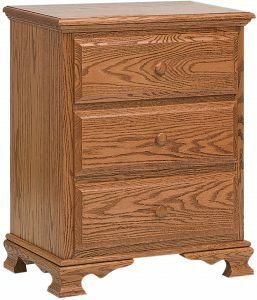 The Superior Shaker Trim Three Drawer Nightstand features a tapered profile. 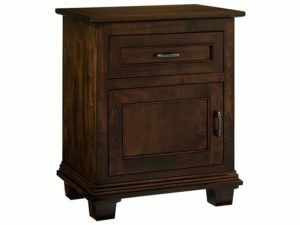 The Wellington 1 Drawer, 2 Door Nightstand is a versatile bedroom furnishing. 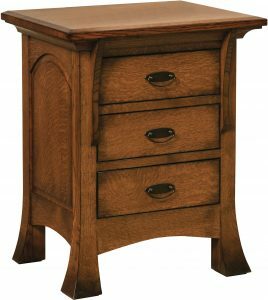 The Wellington 3 Drawer Nightstand is a charming bedroom furnishing. 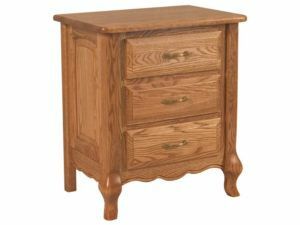 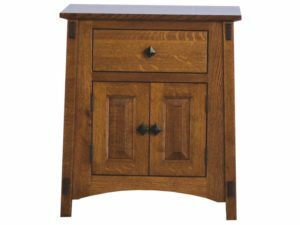 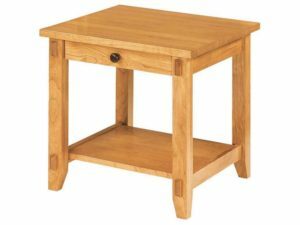 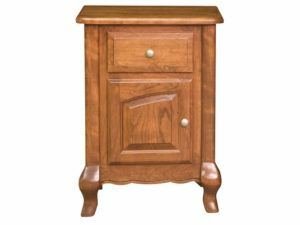 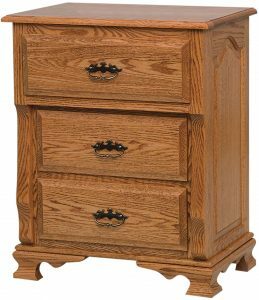 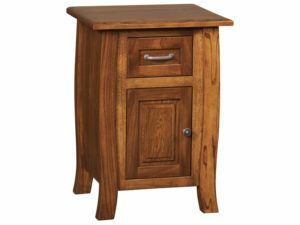 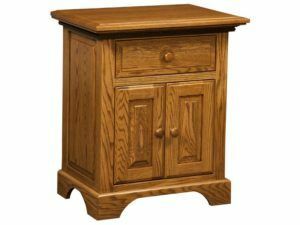 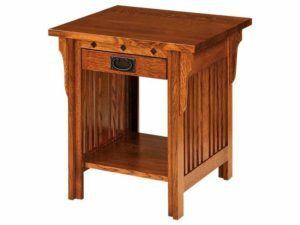 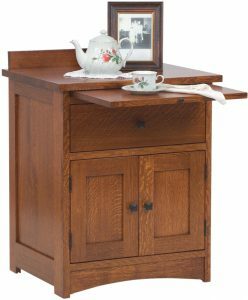 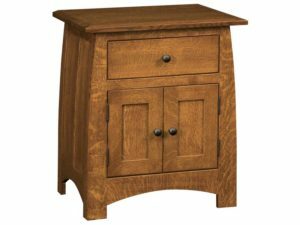 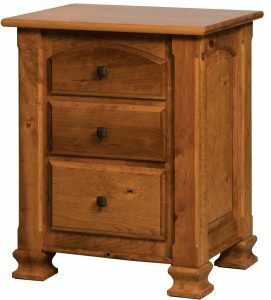 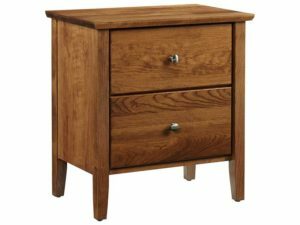 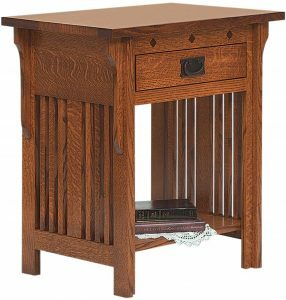 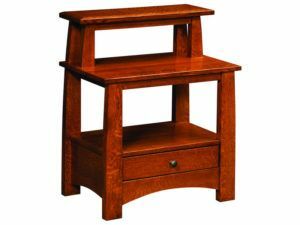 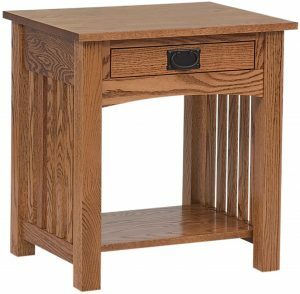 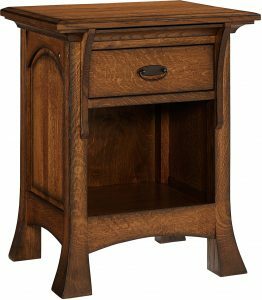 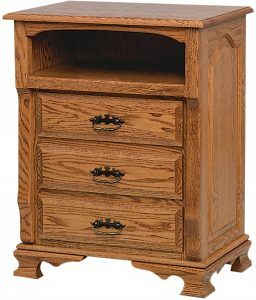 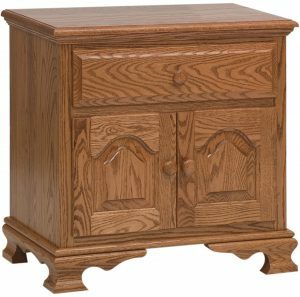 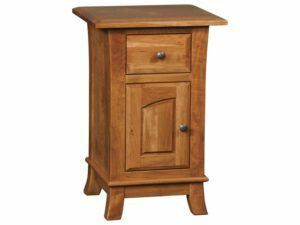 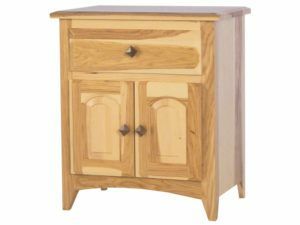 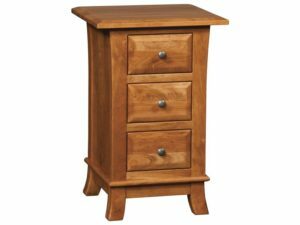 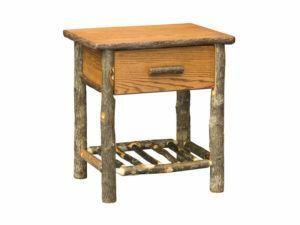 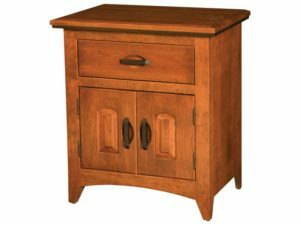 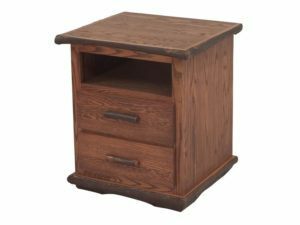 All nightstands from Brandenberrry Amish Furniture are painstakingly hand-built by Indiana Amish cabinetmakers. 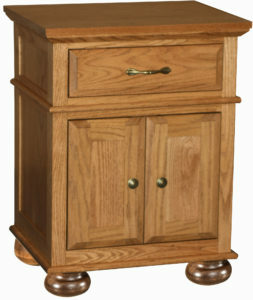 And they use solid hardwoods like maple, oak and cherry. 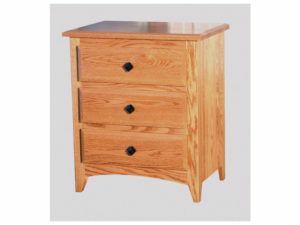 So the unit you choose will be extremely durable. And, with good care, it should last for decades to come. 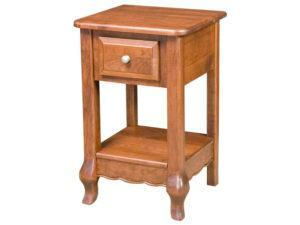 Our nightstands are unlike most pieces you’ll find in big-box stores and traditional chain furniture stores. 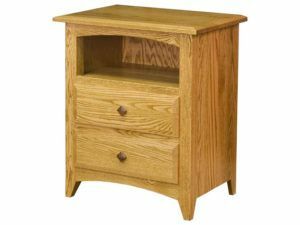 Because a lot of these products are made with bargain substitutes like particle board and veneered cardboard. 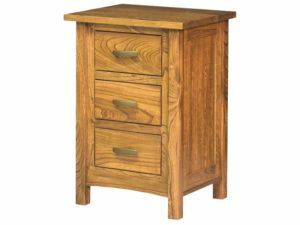 As you can see, every item in the product line is great looking, too. And we offer them in the full gamut of styles. 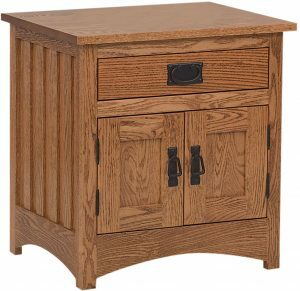 From traditional to contemporary, and everything in-between. 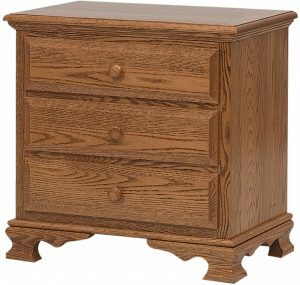 Plus one to four drawers. 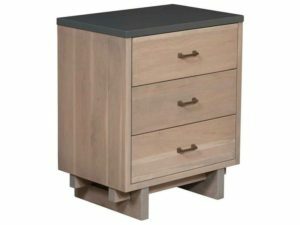 Also open units and nightstands with doors. 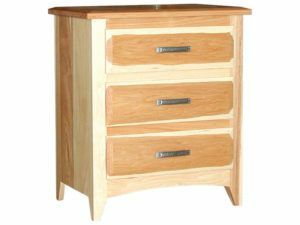 And if you still don’t see exactly what you like, we can customize the unit for you. 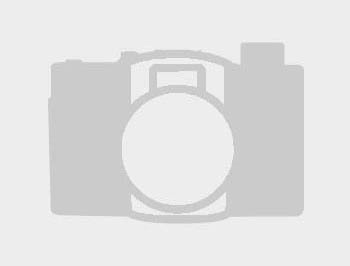 Just give us your specs. 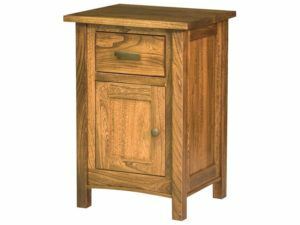 And we’ll send you the nightstand of your dreams.